Look – normal ports! Asus’ EeePad isn’t exactly beautiful, but having HDMI and USB could be a sight for sore eyes. Photo courtesy Asustek. We’ve been talking about this so long, you’d be forgiven for missing the moment when it actually happens. But the time is now: the promised future of inexpensive, HD-capable tablets has arrived. Advances in low-power processors and touch-sensitive displays indicated early on that a wave of tablets was coming. Apple deserves credit for being first to market with a credible, elegantly-designed tablet in the iPad. Now, at last, the iPad isn’t alone. If the 2010 iPad was the first generation, a slew of tablets from PC vendors represents a second generation. I broke down some of what we know about these tablets earlier today for Create Digital Music. But an important common feature is HD video. Newer, faster chips, including dual-core processors even on the inexpensive Android-powered models, mean the ability to decode HD video. But importantly to visualists, these machines include HDMI (or mini-HDMI, or HDMI over 30-pin ports) for video output. That means that very soon, for just around $500, you’ll be able to buy an Android 3-powered tablet that can play video and visuals. (Heck, you could buy two – time for a decent HDMI video mixer.) I’m hopeful, too, that we’ll see SDK features in Android 3.x that allow for video output; between Google’s efforts on Google TV and OEMs touting video out as a primary feature, it seems a no-brainer. Android 2.2 devices have had to resort to proprietary APIs built by vendors like Samsung, meaning they’re not standard and not accessible to developers. Obviously, you’d want that to change with 3.x; time will tell. If video mirroring or even dual display is available, that means not only the ability to play back video files, but Processing and OpenFrameworks sketches or even custom apps. Of course, don’t expect Apple to stand still. Apple already has superb APIs for video output; they just lack a tablet with a fast processor, snappy GPU, and HDMI output. I suspect we’ll see that in a revised iPad some time in the spring. And that should mean you’ll have something in the next few months that you didn’t have last year – a choice. VJing on iPad or Android? Sounds good to me. 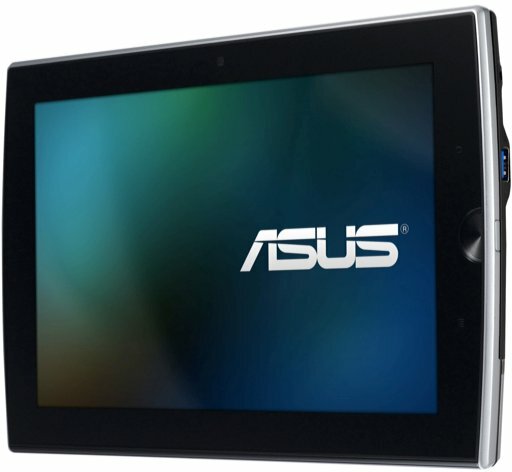 Asus CES announcements, with Windows tablets (likely to be supported by folks in the Linux community), and Android offerings aplenty – just one of many conventional PC vendors showing new tablets at CES.